When I think of May weather, snowstorms don't come to mind. 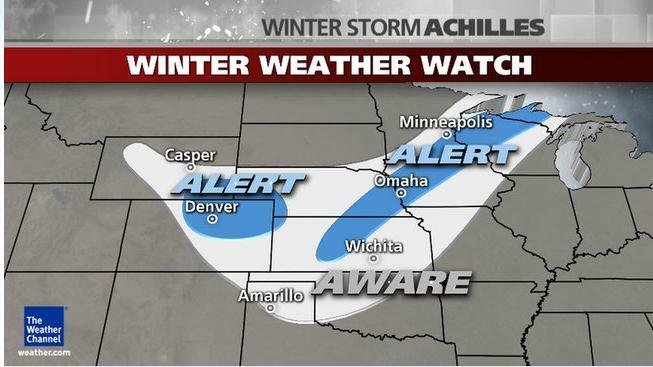 Even parts of TEXAS are supposed to get snow. I've lived in TX and snow is not something I worried about in late spring, early summer. Usually this time of year I'm worried about forgetting my sunscreen and keeping hydrated. I'm starting to miss those worries. Between the weather and the mono my training has really taken a hit. I'm still doing Hospital Hill, but I have made peace with barely finishing or perhaps getting a DNF. Gotta keep moving towards the goal and if I miss it this year, I'll get it next year. It's been easy to feel like giving up. I'm exhausted and that race has a rep for being tough. Hill is in the name after all. Plus it's local to me and I've SEEN the hill. But, I can walk - however slowly and I will give it a shot. Worst that can happen is that I don't finish. No, the worst is to not try. So I figure that if I go for it, I'm already better off than the absolute worst thing that can happen. :-) I've gotten a dnf before, so that's no concern. And I suspect I'll have fun. Hard not to have fun around runners.